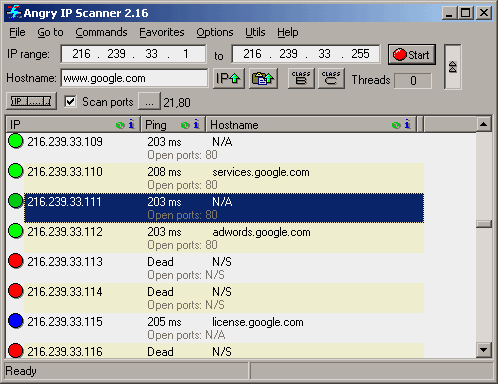 Angry IP Scanner is a fast IP scanner that can ping a range of IP addresses to check if they are alive, then optionally resolve hostnames, scan ports, etc. The program is useful for network administrators to monitor and manage their networks. Note: Current versions of this program require Java. Until this is tested as portable, we are linking to the previous non-Java version. Writes settings to: Windows registry. But given the nature of the application, I think it can be accepted as portable. 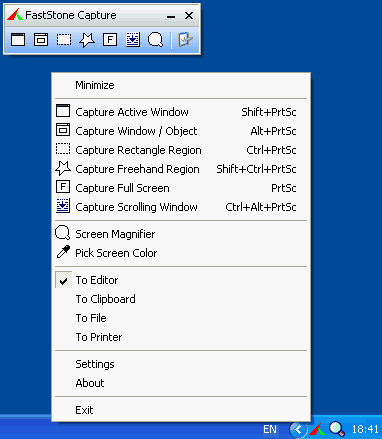 An option is provided to delete registry entries upon user's request. How to extract: Download IPscan221.EXE to a folder of your choice and launch. One more reason to use the older legacy version instead, which, afaik, does not need Java. Craunch: just added a note to the entry. Besides, the package contains no less than 45 distinct files, including umpteen dll's, for a bloated total of 8.8MB, versus AngryIPscanner single 108KB *.exe.